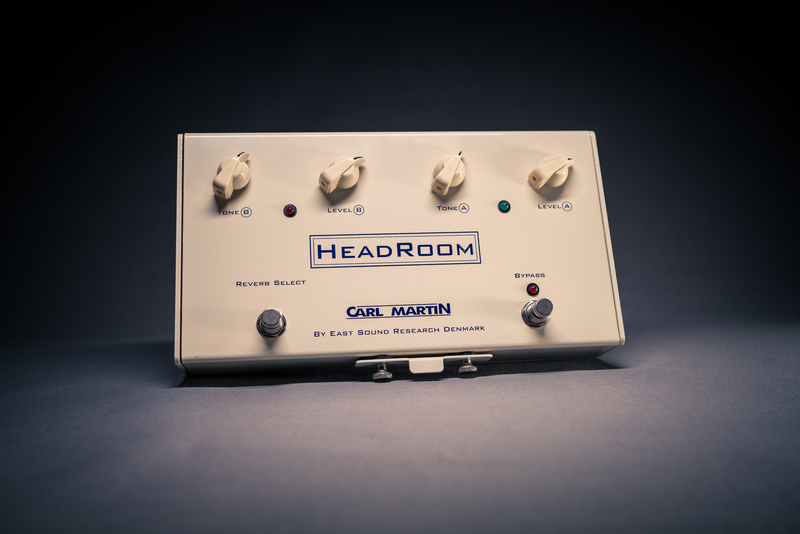 The Carl Martin Headroom is the most simple to operate reverb pedal on the market…with a couple extras. This purely analogue ‘real spring’ reverb has two identical identical channels, each with tone and level controls to select the depth and tone of your reverb. This allows you to have a soft, small room reverb on Channel A and a much more dramatic and dark large-room reverb on Channel B (or vise versa) The two foot-controlled switches control which channel you are in, and whether you wish to bypass the effect completely. It is like having two separate reverbs in your amp!